Our take on a red velvet cake. Two tiers of vanilla sponge with a very light hint of chocolate. 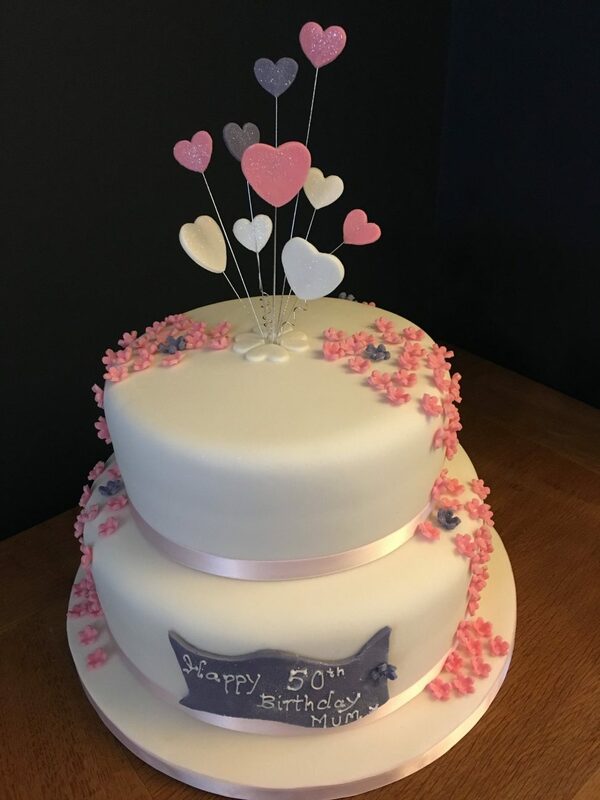 Covered in soft white fondant and decorated with cascading sugar blossoms and sparkly hearts on wires.